The problem is that the pent-up demand is still expected to continue to exceed supply, even with more homes for sale. NAR predicts that existing home prices will rise 2.5% in 2019, to a median of $265,200, compared with a 4.7% rise in 2018, to $258,700. Mortgage rates will continue rising From the beginning of 2018 to mid-December, 30-year fixed mortgage rates went up a little less than three-quarters of a percentage point, to around 4.75%. Fannie Mae’s forecast is for an increase of just 0.1 percentage point. For example, in NerdWallet’s daily mortgage rate survey, the 30-year fixed-rate mortgage started the year averaging 4.09%. 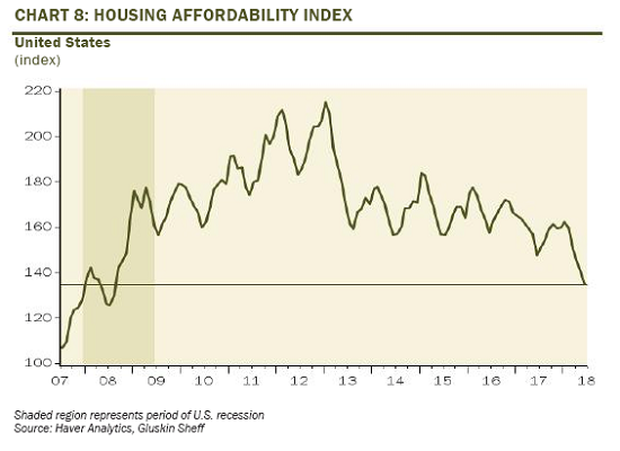 Affordability still a concern As home prices and mortgage rates rise in tandem, home buyers find it harder to afford homes. New homes get smaller From a home buyer’s perspective, most markets need more houses for sale, and they need to be on the affordable end of the price scale. Lending standards ease a little Mortgage lenders learned an enduring lesson in the housing crisis a decade ago: Make sure borrowers can repay their loans. Borrowers choose ARMs because the initial rates on adjustables are lower than the rates on fixed-rate mortgages. In October, 8.2% of mortgages were ARMs, according to Ellie Mae; 12 months earlier, ARMs had a 5.5% share of mortgages.